“Center Stage: African American Women in Silent Race Films” is open at the California African American Museum until Oct. 15. 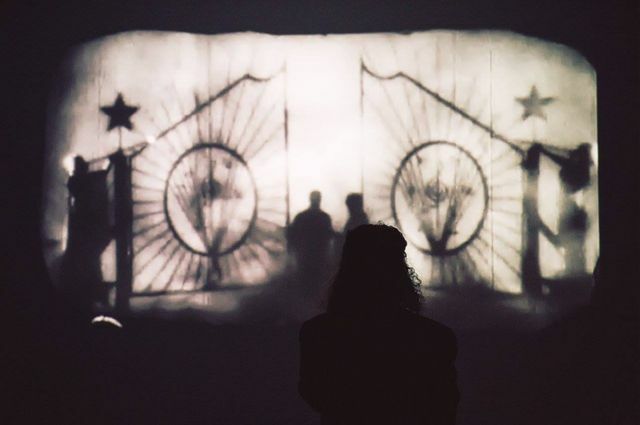 The meticulous work of UCLA digital humanities students who shone a light on the hidden history of black filmmakers and artists from the silent era has inspired a new exhibition at the California African American Museum in Exposition Park. The exhibition, which opened June 28 and runs through Oct. 15, includes a looped screening of several films from the era that feature black actresses in major roles — including Oscar Micheaux’s “Within Our Gates” (1920) and “The Symbol of the Unconquered” (1920), extant clips from Lincoln Picture Company’s “By Right of Birth” (1921, directed by Harry Grant), “The Scar of Shame” (1929), “The Blood of Jesus” (1941, directed by Spencer Williams) and others. Posters and marketing materials from the era will also be on display, alongside an essay written in collaboration between Boyd-Pates and students from the UCLA project. A Los Angeles native and former professor of African American Studies at Cal State Dominguez Hills, Boyd-Pates said he was eager to collaborate with the UCLA digital humanities project to celebrate the mission of uplift, positive representation and reshaping narratives around black history and culture. “The thrust of the show is placing black women at the fore and also providing nuanced portrayals of black femininity in an effort to offset some of the caricatures that we see of that demographic today,” Boyd-Pates said. That idea happened to be what drove the students in their research and resulting informational website. “Early African American Film: Reconstructing the History of Silent Race Films, 1909–1930,” is home to a database that tracks the African-American actors, crewmembers, writers, producers and other artists who were making films during the silent era. It shows that African-American artists are deeply entwined in the history of filmmaking, and can be traced back to the medium’s beginnings. 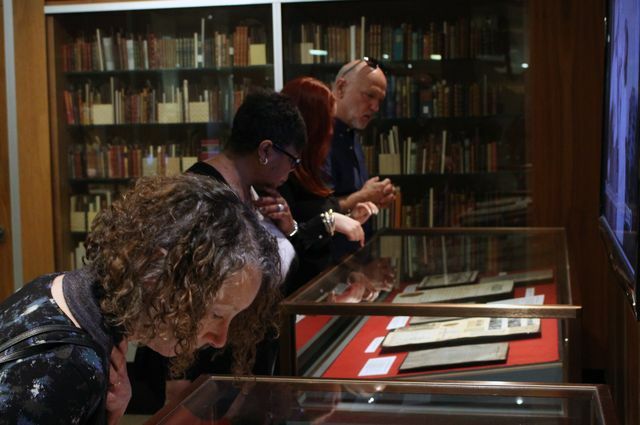 For the students, the CAAM show represents some of the fondest hopes for their project, said Miriam Posner, digital humanities core faculty member and program coordinator. 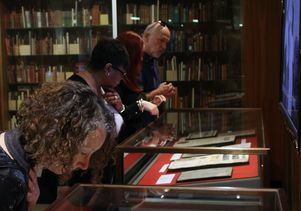 The students had already curated an exhibit titled “The Industry of Uplift: Silent Race Film, the Lincoln Motion Picture Company, and George P. Johnson,” for UCLA Special Collections. The exhibit is on display now through Sept. 17 at UCLA’s Young Research Library. CAAM was one of the institutions they visited as they worked to curate their campus exhibit. “We loved going behind-the-scenes at CAAM and getting to be a part of a landmark L.A. institution” Posner said. “The Industry of Uplift: Silent Race Film, the Lincoln Motion Picture Company, and George P. Johnson” is in the Charles E. Young Research Library. 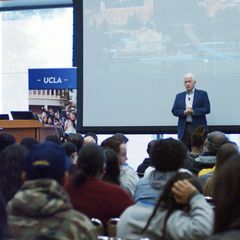 Moreover, watching the digital humanities project take on an extended life in the Los Angeles community was very gratifying to the students because the history spoke to them in a very personal way, Posner said. “They feel a very serious responsibility to tell the story right, and to make sure they honor the filmmakers who built this community,” she said. 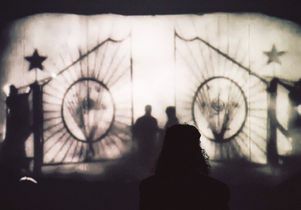 Boyd-Pates created the CAAM exhibition space to provide an immersive experience for the viewers, inviting them to spend long amounts of time in the space, watching films, hopefully witnessing firsthand the self-determination of the black filmmaking community — that flourished despite major adversity and racism — come to life in front of them.